I was not alone in being skeptical as the first European/IMF bailout package was cobbled together last year when the Greek sovereign debt crisis first exploded. At that time, the European politicians assured their constituents that the 110 billion euro bailout for Greece would absolutely stabilize the situation for Athens, and prevent a sovereign debt contagion metastasizing throughout the rest of Europe, especially to the so-called PIIGS nations on the southern periphery of Europe (Italy, Spain Portugal as well as Greece) and Ireland. Now, after Portugal and Ireland have joined Greece in begging for a bailout from European taxpayers and the IMF, Greece is back with its cup in hand. After a year of crippling austerity measures that have thrown the Greek economy into recession, Prime Minister Papandreou has told the Greek parliament that even more severe stringent cutbacks and tax increases are required. The reason; last year’s bailout was insufficient to enable Greece to continue to pay creditors for her massive (and until the crisis surfaced, largely hidden) public debt. The news from Papandreou is dire; another massive injection of European and IMF loans are needed, equaling the already staggering previous bailout package of 110 billion euros (approximately $150 billion in U.S. currency), or else Athens will default on its sovereign debt. It must be pointed out that the second bailout package, as with the first, will necessitate other European nations themselves going further into debt to provide Greece with the bailout, including countries such as Spain and Italy which are considered only slightly less vulnerable to a sovereign debt implosion than Greece, Ireland and Portugal. Anyone who though that the global economic and financial crisis that began in 2008 ended due to the “brilliant” expansion of public debt engineered by the policymakers is now getting their wakeup call. 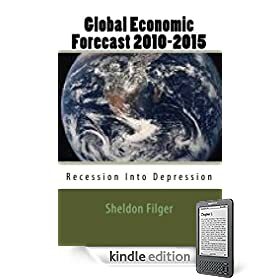 As I predicted in my book, “Global Economic Forecast 2010-2015:Recession Into Depression,” a global sovereign debt crisis will precipitate a worsening of the global economic crisis. 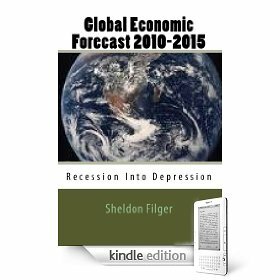 Furthermore, solving a debt crisis with more debt, tied to fiscal policies that retard economic growth, is not a solution but rather an exhibition of economic and financial insanity. With policymaking of this “quality,” it bewilders the human intellect that anyone still thinks an economic recovery is just around the corner. 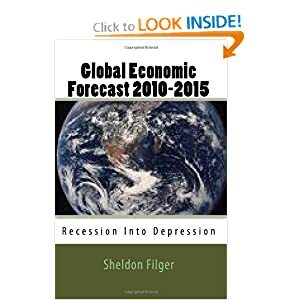 There is in fact something just ahead for the global economy, but it won’t be pretty. Other views by computer security experts add to the picture that the IMF was targeted by a state actor wanting a presence inside the databases of the organization. While not enough information has been leaked to identify the likely nation-state or its objectives, I will inject my own speculation. My view is that such an extreme measure targeting the IMF would likely be initiated by a large economy and global creditor that is vulnerable to massive write-downs of its overseas sovereign debt purchases, especially within the Eurozone, UK and USA. Such an actor might decide that the strategy it must implement to safeguard its investments and long-term fiscal equilibrium requires an extraordinary degree of access to highly confidential IMF data and policy assessments. Furthermore, such an actor would have already established its interest in cyber-warfare, and has an advanced computer infrastructure of sufficient level to design the highly sophisticated software utilized in the IMF hacking operation. When it comes to the culprit, I don’t think we are talking about Zimbabwe.